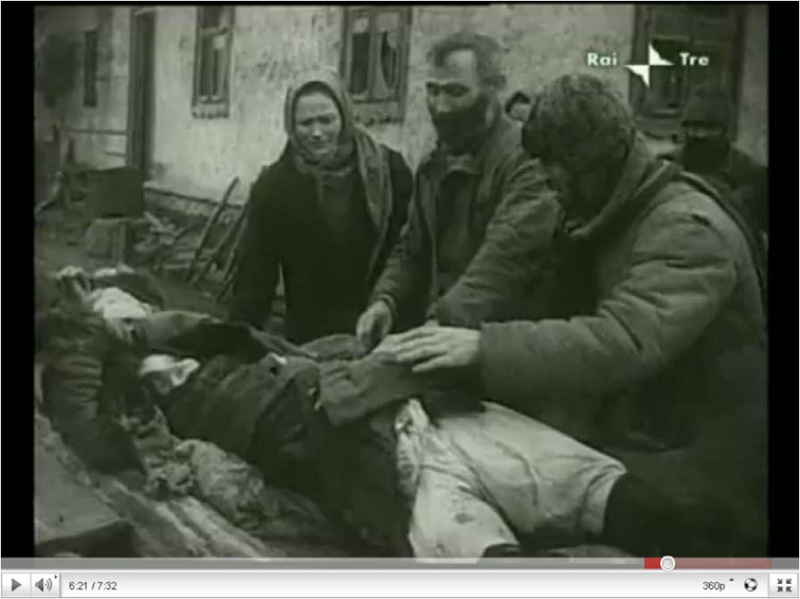 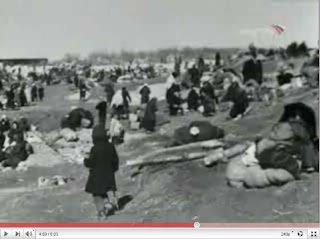 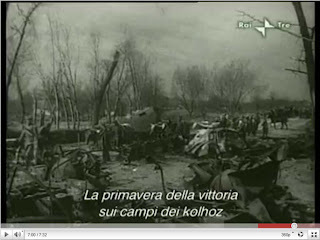 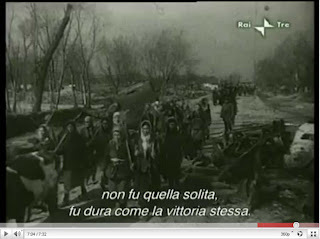 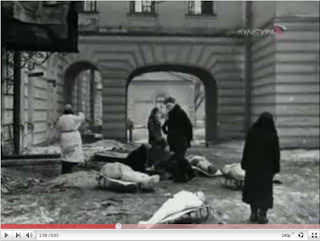 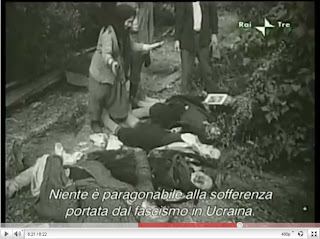 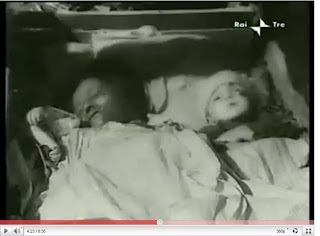 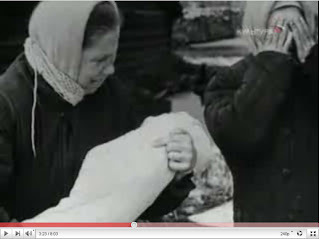 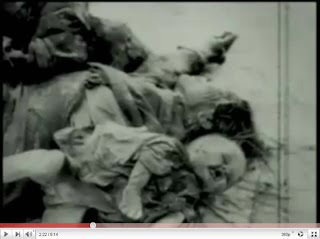 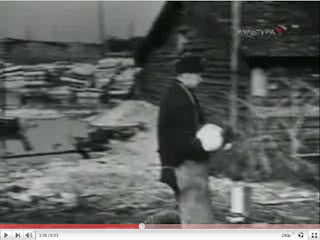 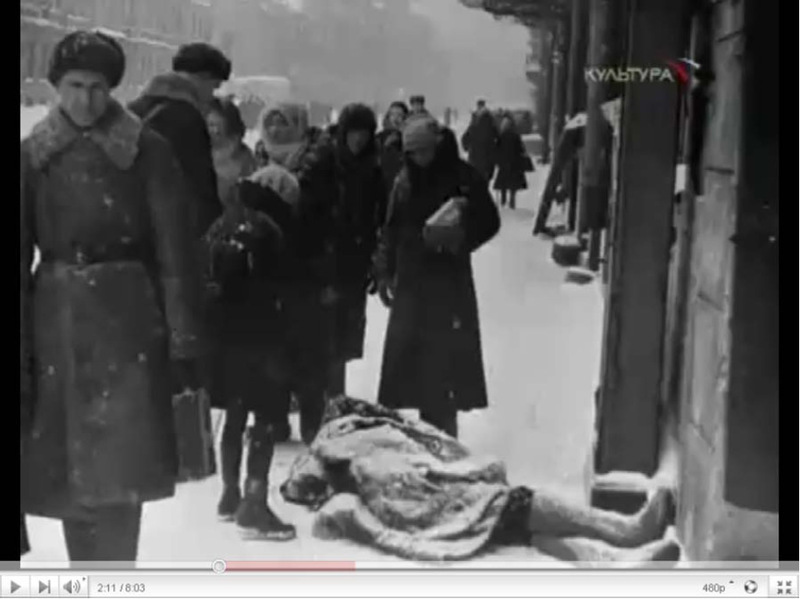 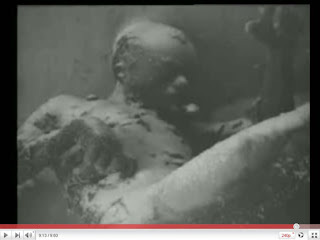 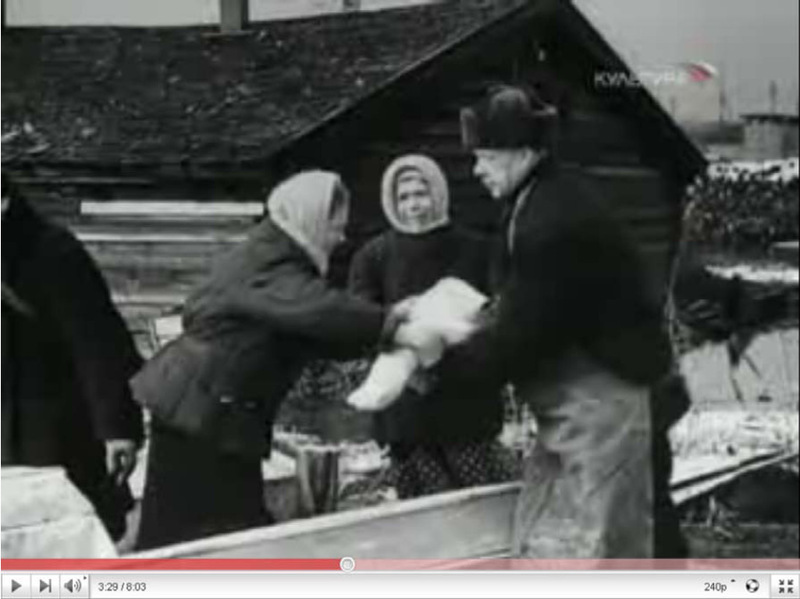 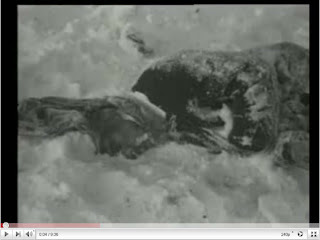 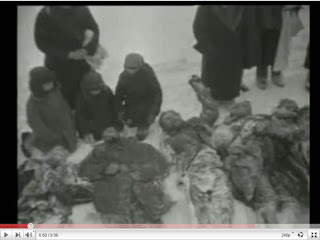 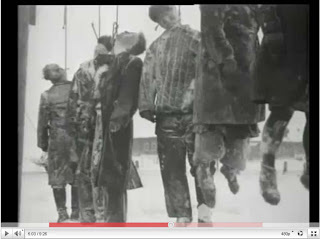 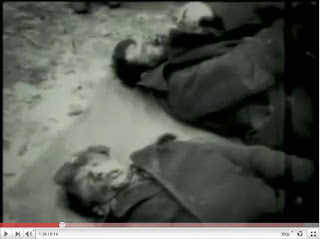 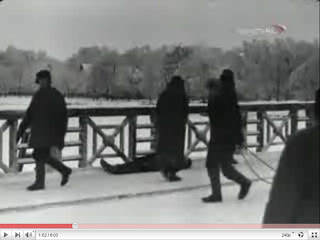 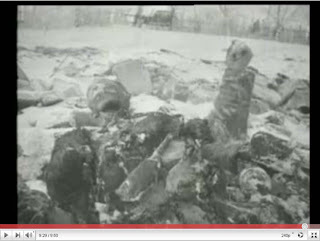 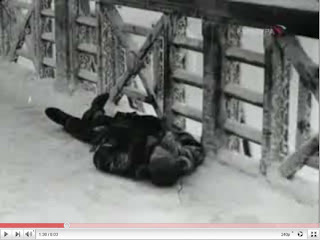 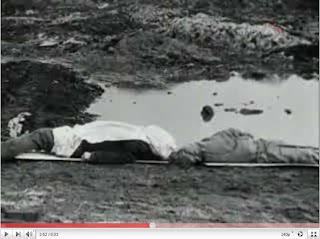 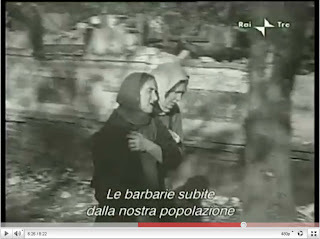 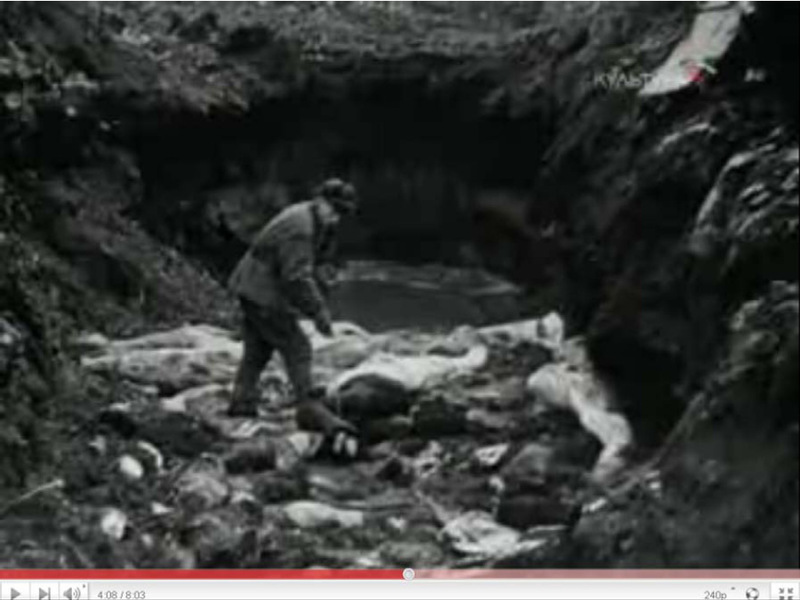 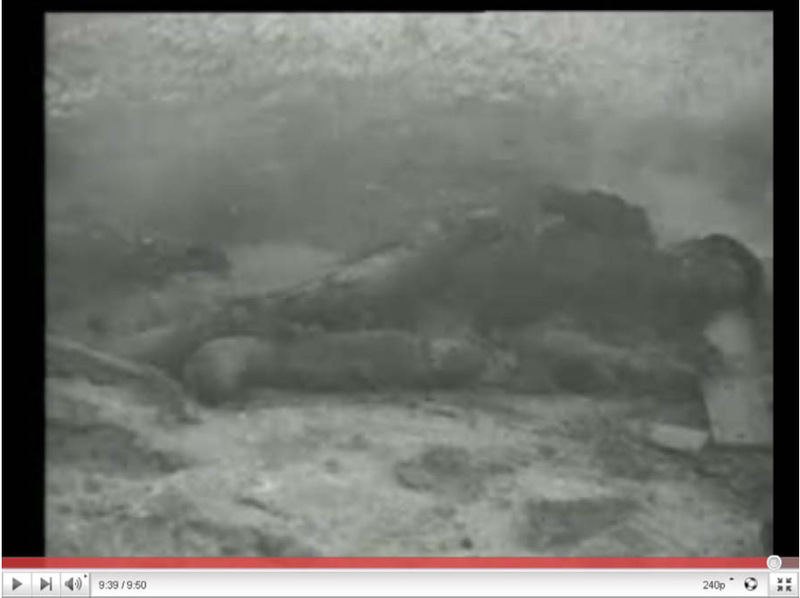 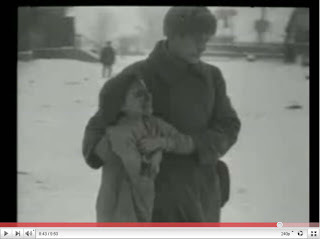 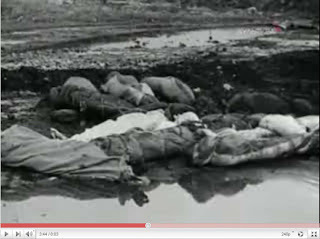 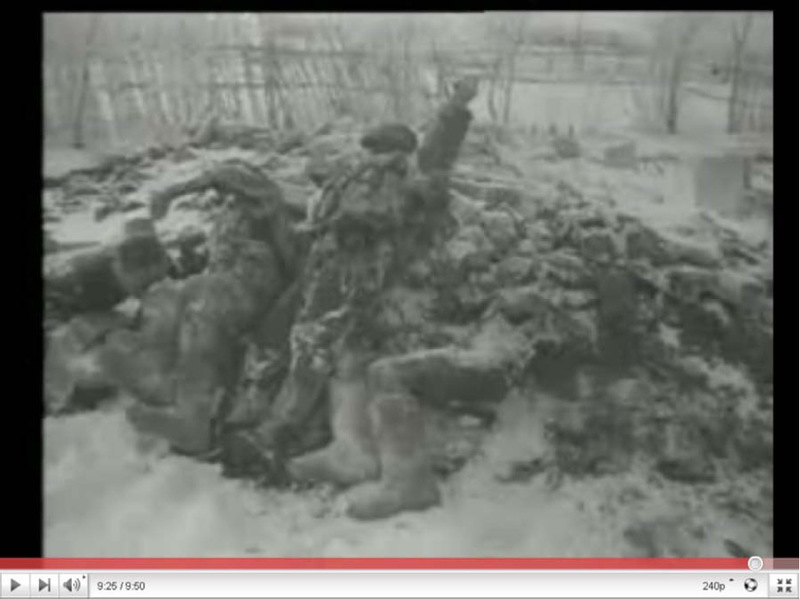 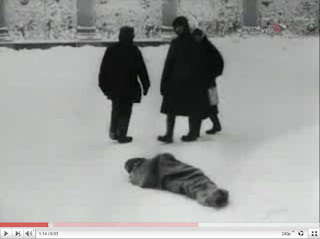 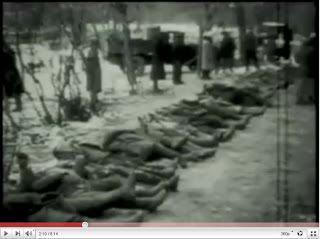 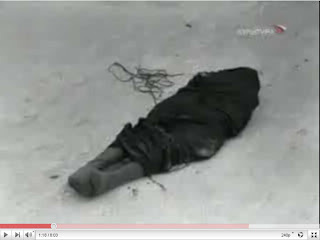 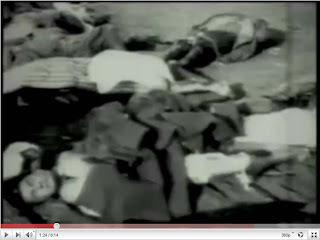 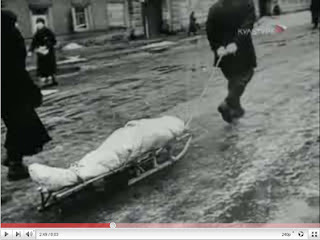 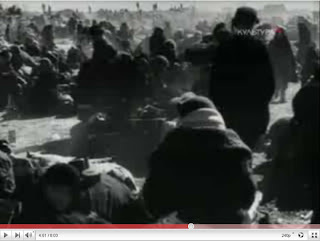 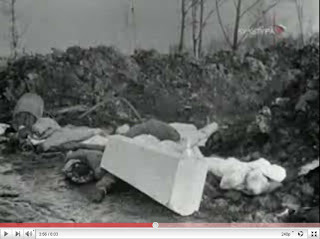 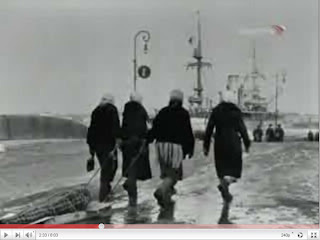 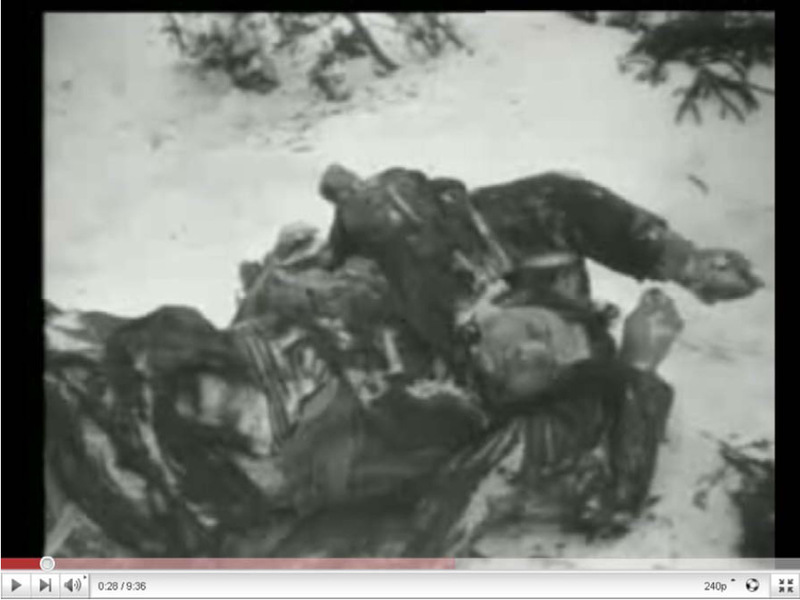 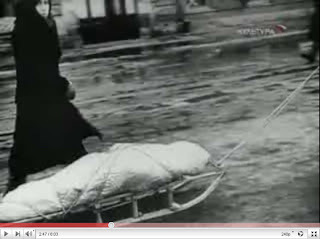 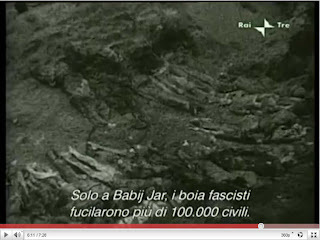 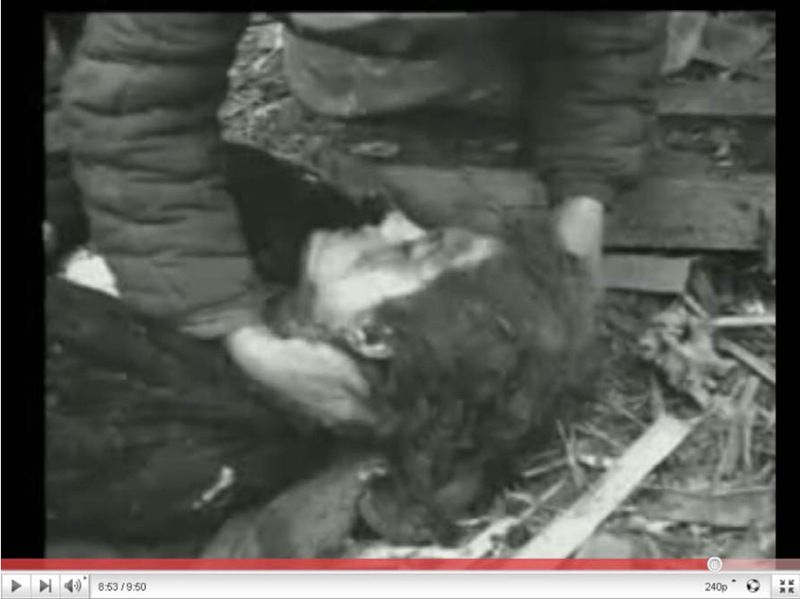 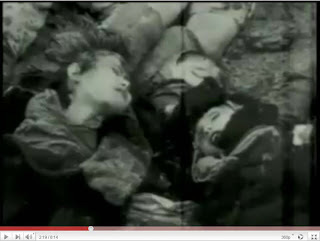 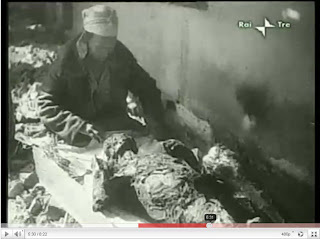 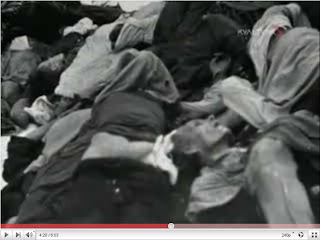 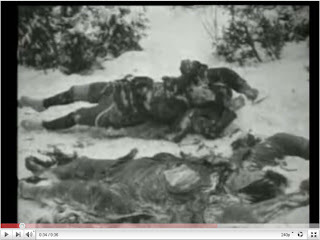 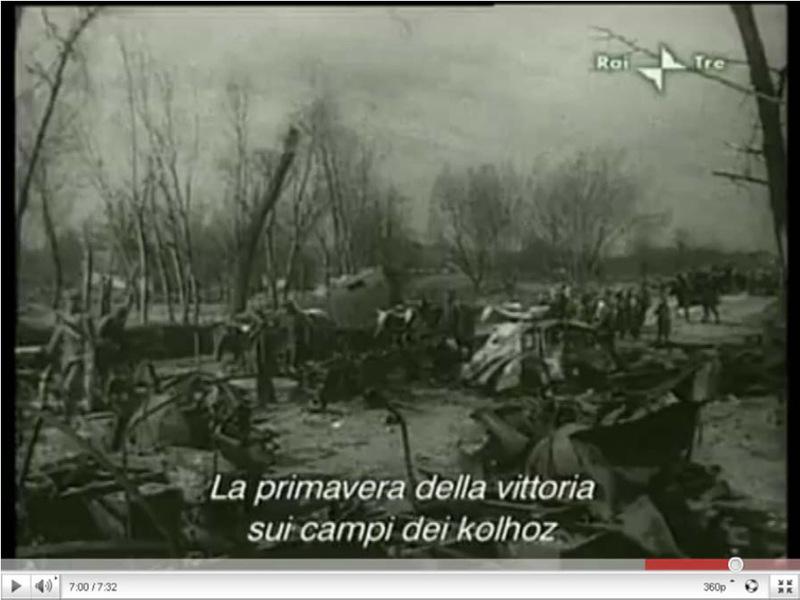 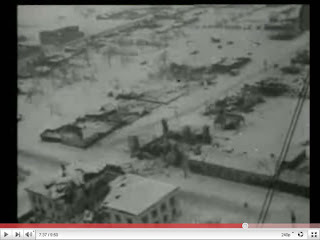 This blog contains a collection of stills I took from various Soviet wartime documentaries available on YouTube, showing devastation wrought by and victims of the Nazi invaders on the territory of the Soviet Union - villages set on fire, buildings and infrastructure destroyed within the context of a "scorched earth" policy, prisoners of war or civilians shot, hanged, burned, starved or left to die of exposure in the cold of winter. 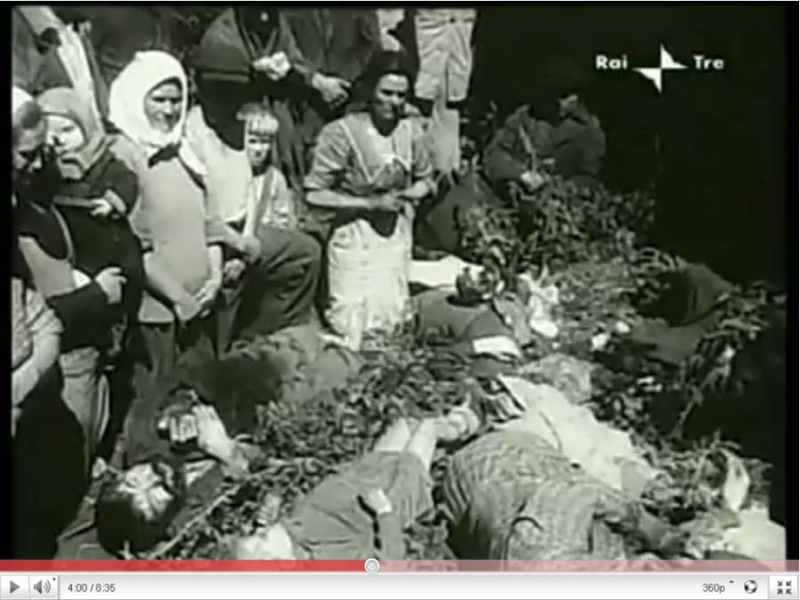 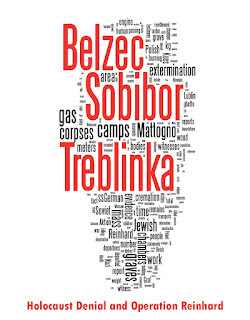 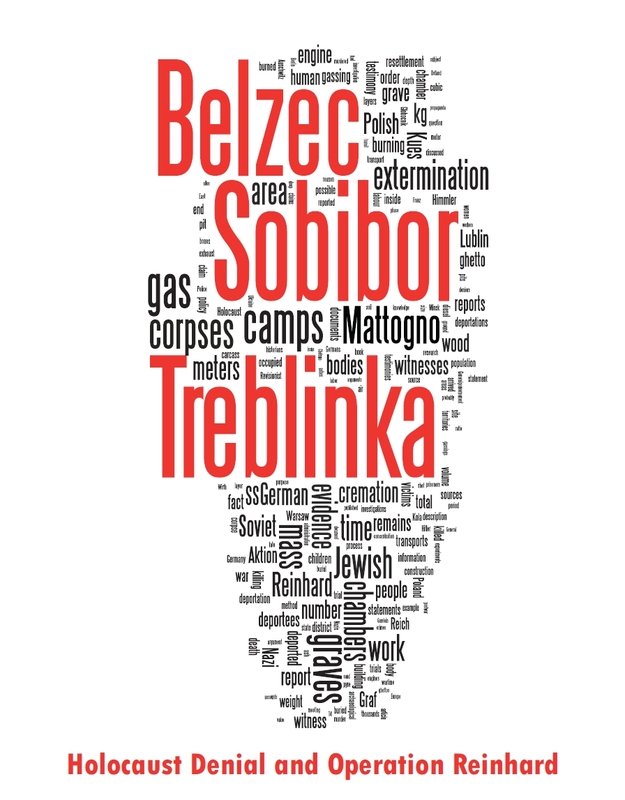 The victims of these crimes are Jewish and non-Jewish Soviet non-combatants, the latter probably predominating except in the Drobitski Yar sequences mentioned in the previous blog. 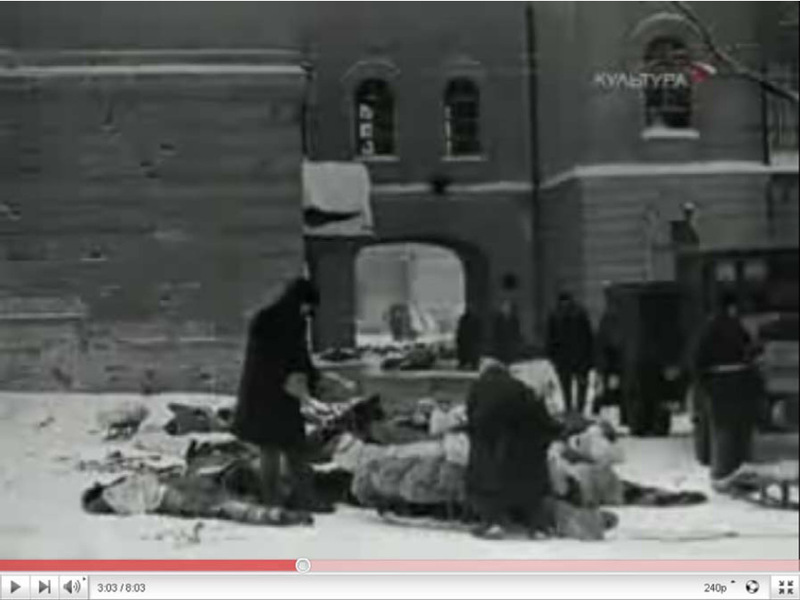 Four of these films cover specific parts of the Nazi-Soviet conflict: the German retreat before Moscow in the winter of 1941/42, the siege of Leningrad and the Soviet campaigns for the reconquest of Ukraine in 1943/44. 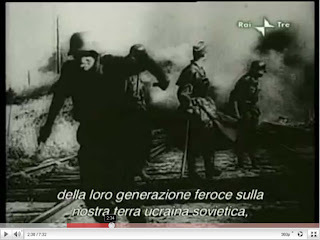 None of these films is specially focused on Nazi crimes and the victims thereof, three of them ("Crushing defeat of the Wehrmacht outside Moscow", "Fight for our Soviet Ukraine" and "Victory in Ukraine") being patriotic documentaries essentially meant to depict the heroism of the Red Army and the Soviet people. 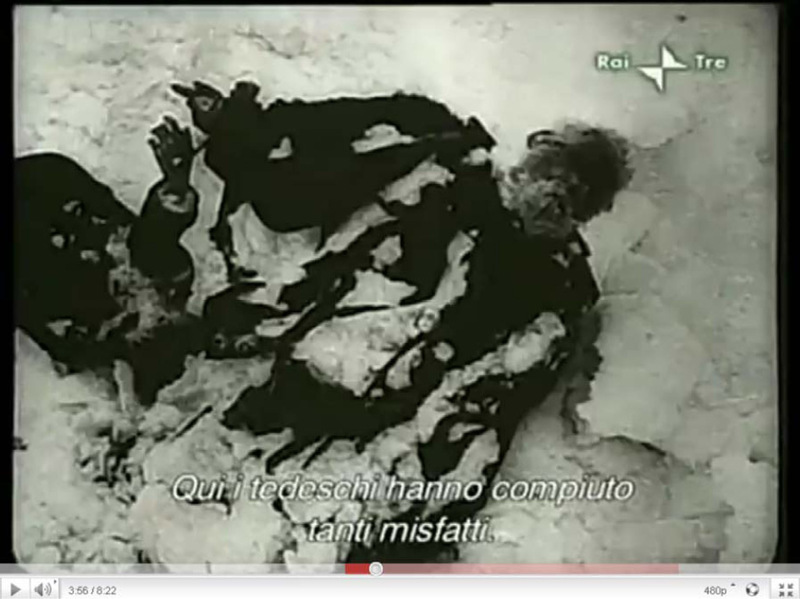 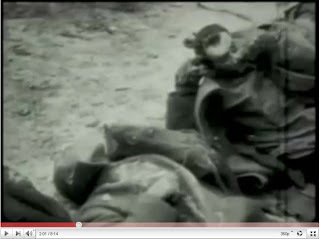 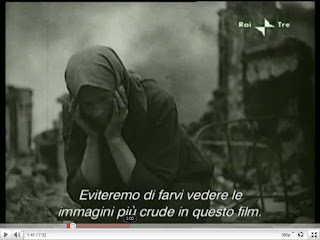 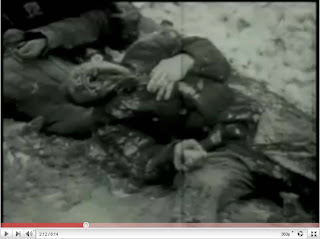 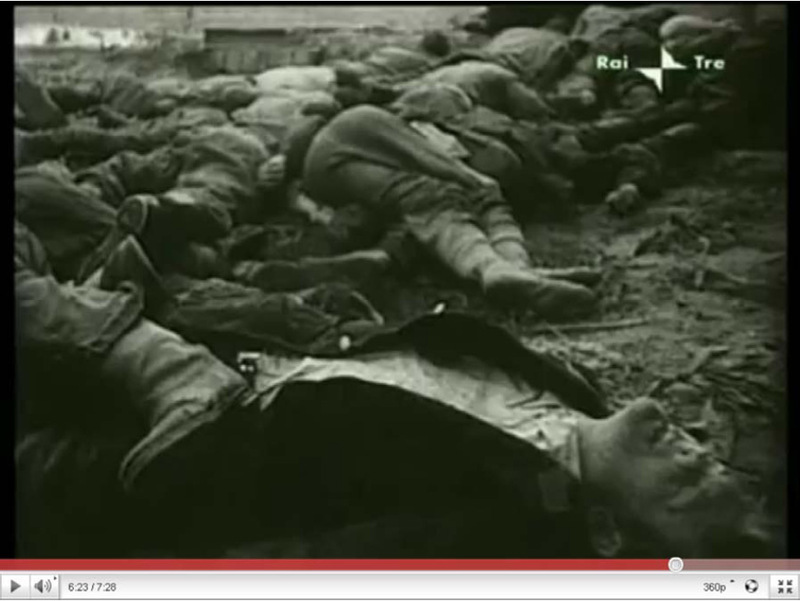 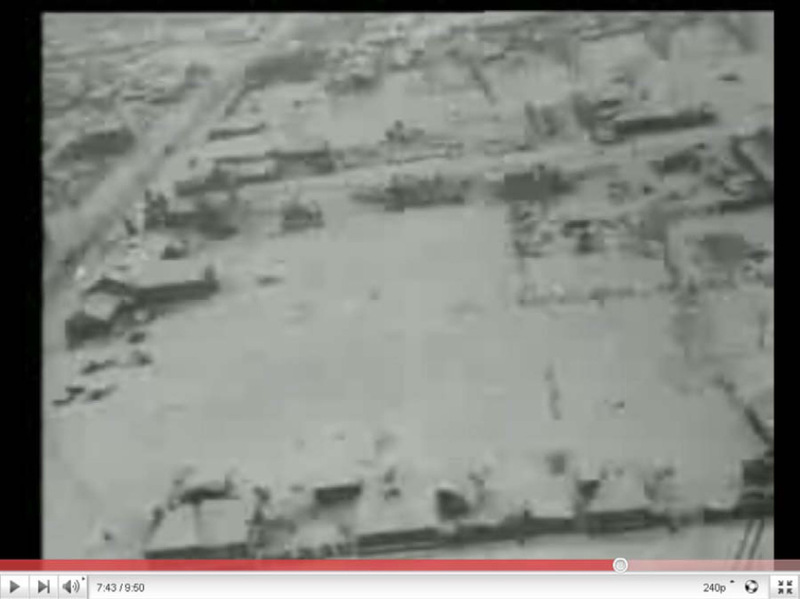 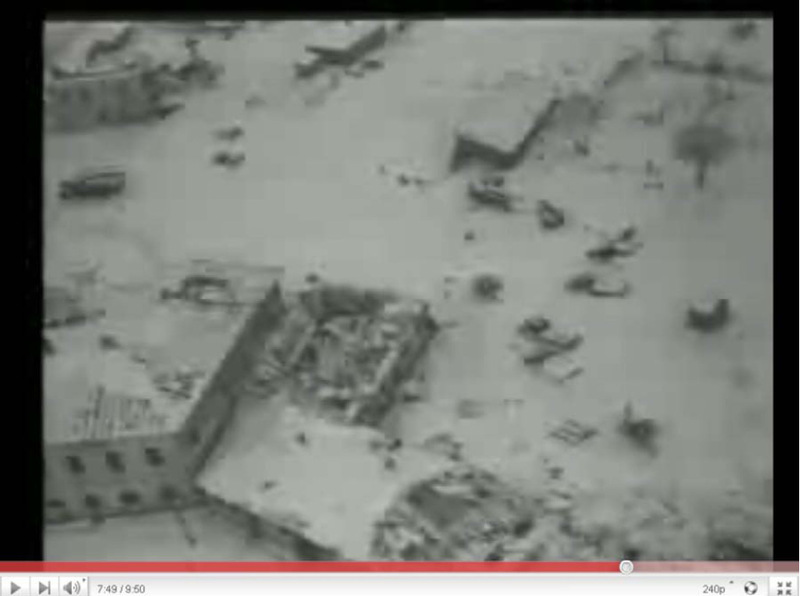 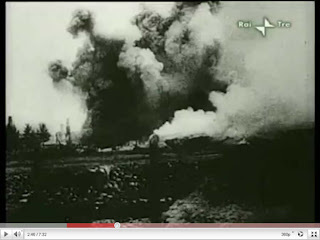 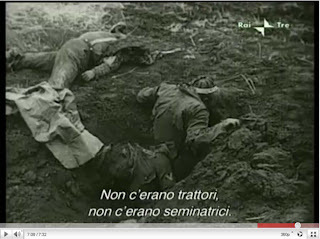 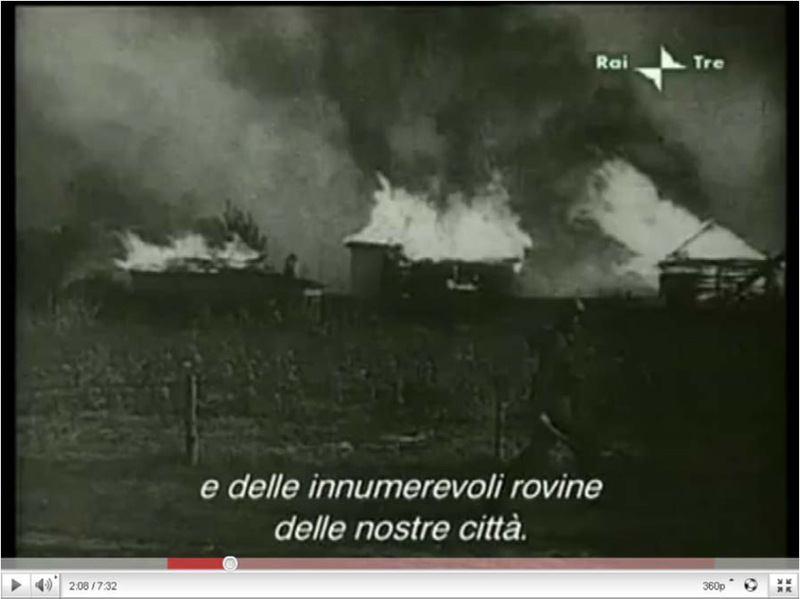 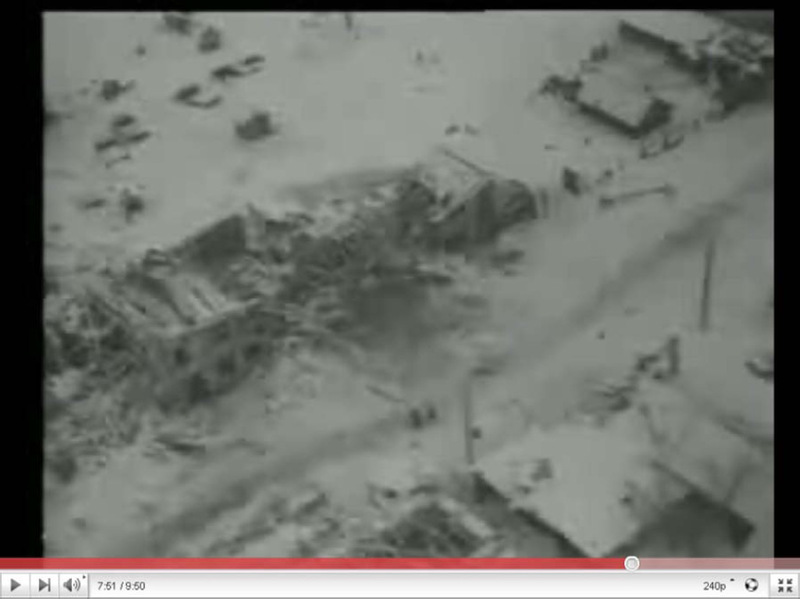 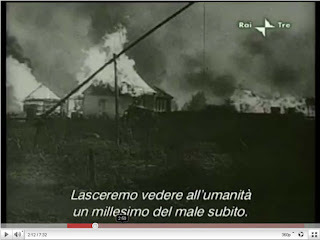 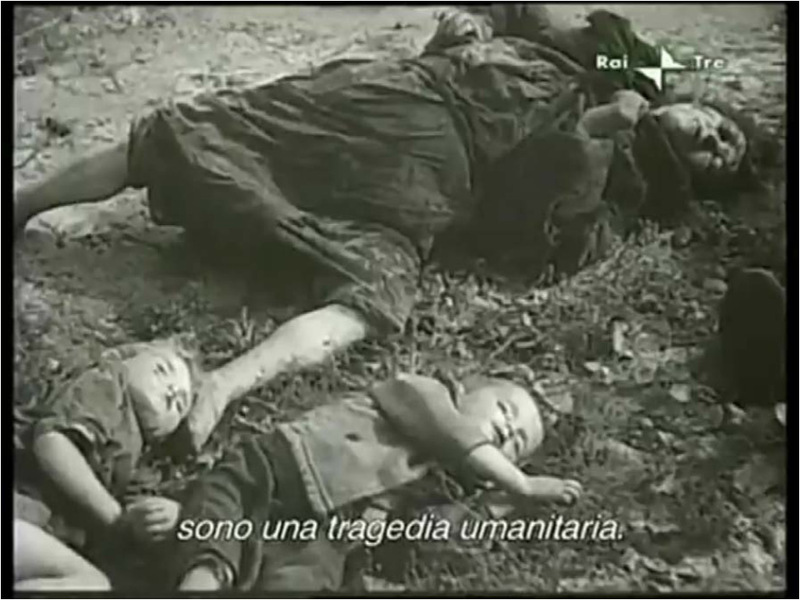 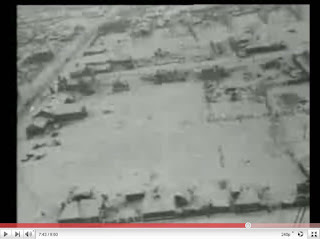 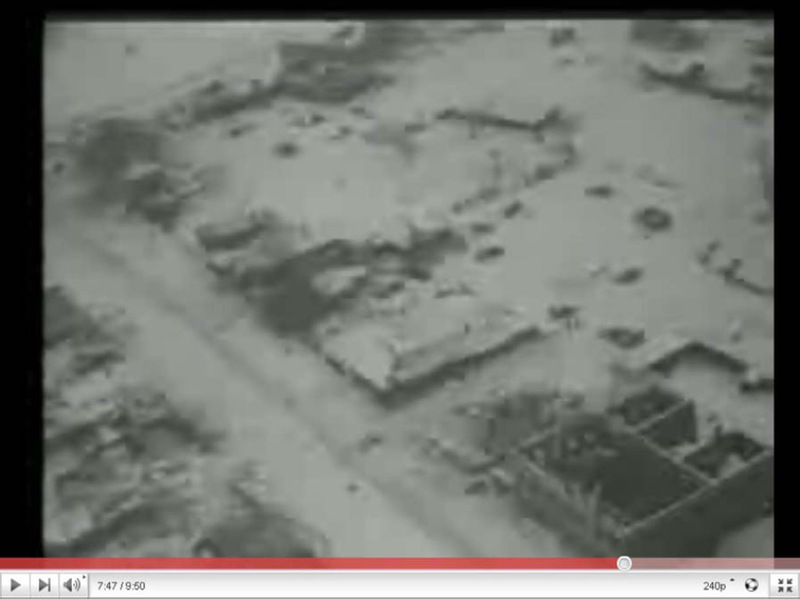 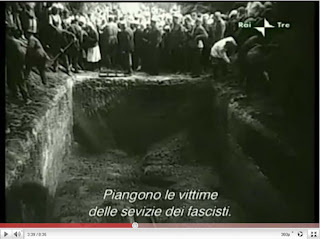 Footage of devastation and atrocities (including captured German "scorched earth" footage) is not only comparatively discrete, but also makes up just a relatively small part of these films, which is one of the reasons why I identified the clips and sequences from which the stills were taken. Unlike the other three films mentioned before, the documentary about the siege of Leningrad carries no patriotic messages. 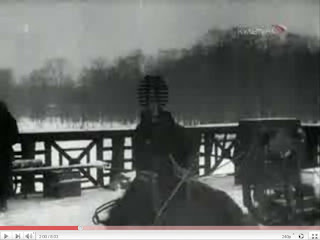 It is actually not accompanied by either music or commentary, the only sounds heard being those made by what is being filmed. 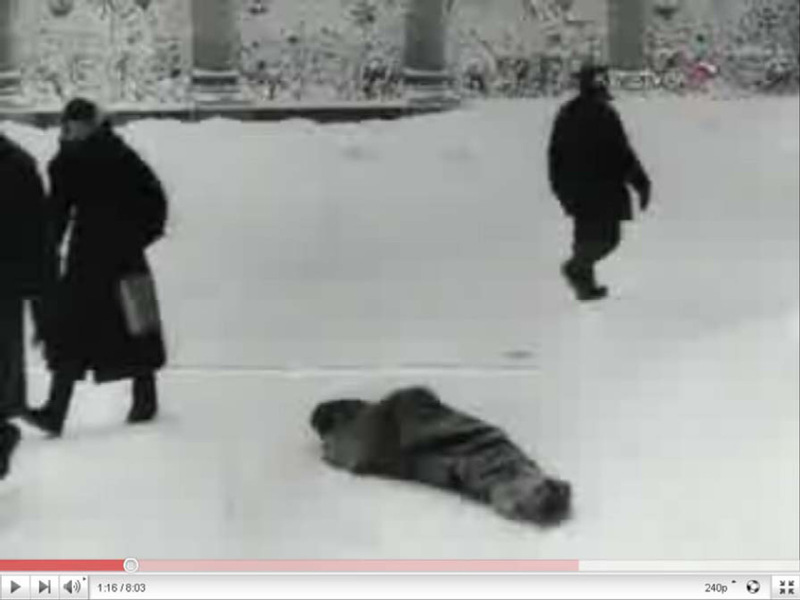 The filmmaker obviously intended to do nothing other than record the life and death of Leningraders during the German siege, and I wouldn't be surprised if his sobriety had been rather unwelcome to Soviet censors. 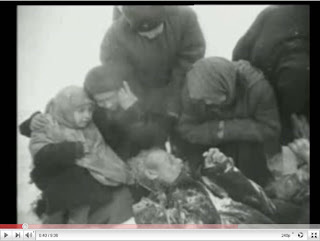 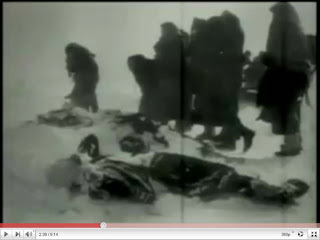 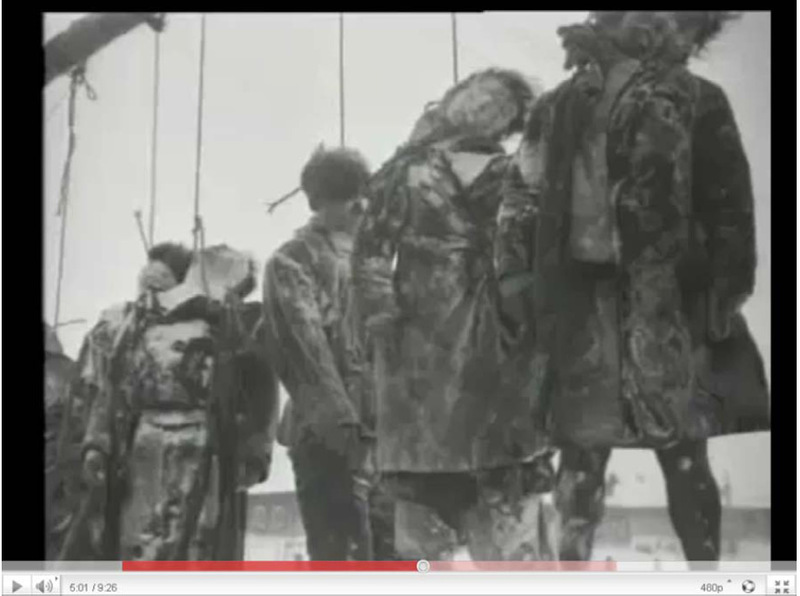 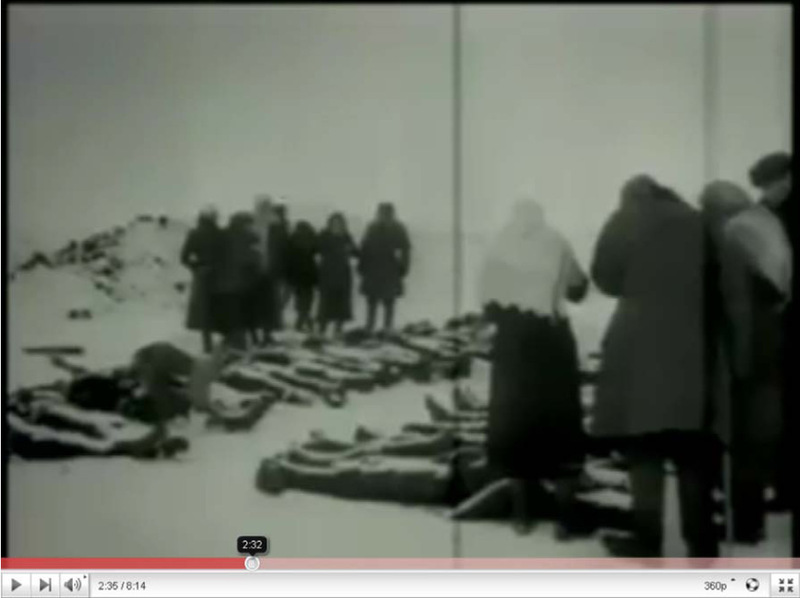 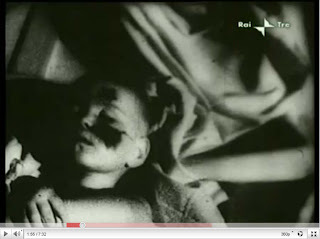 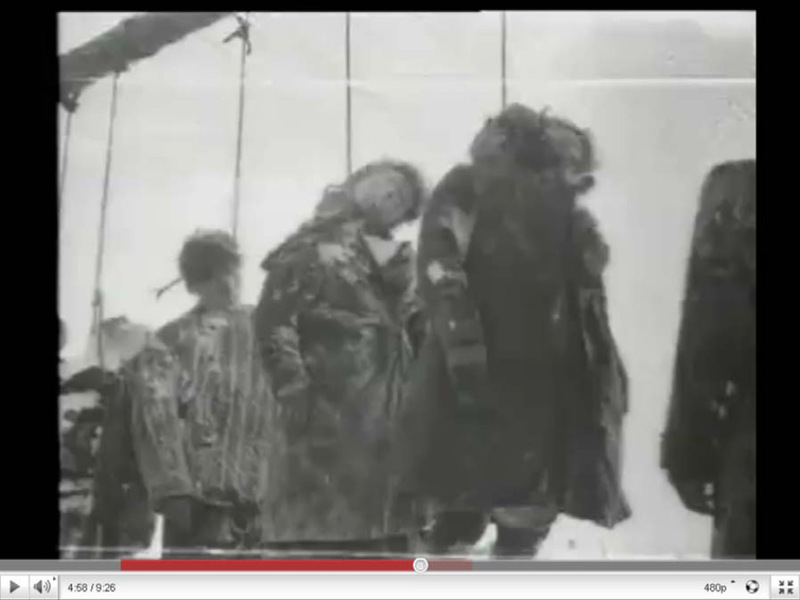 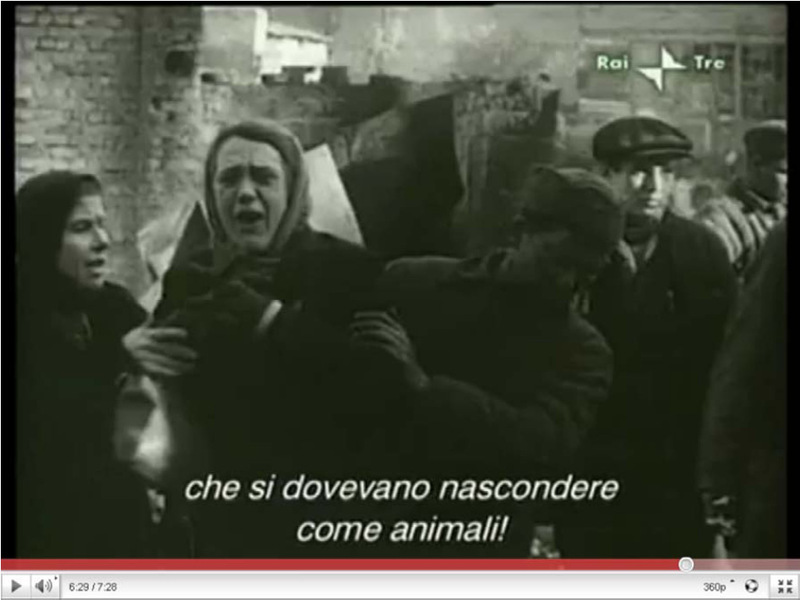 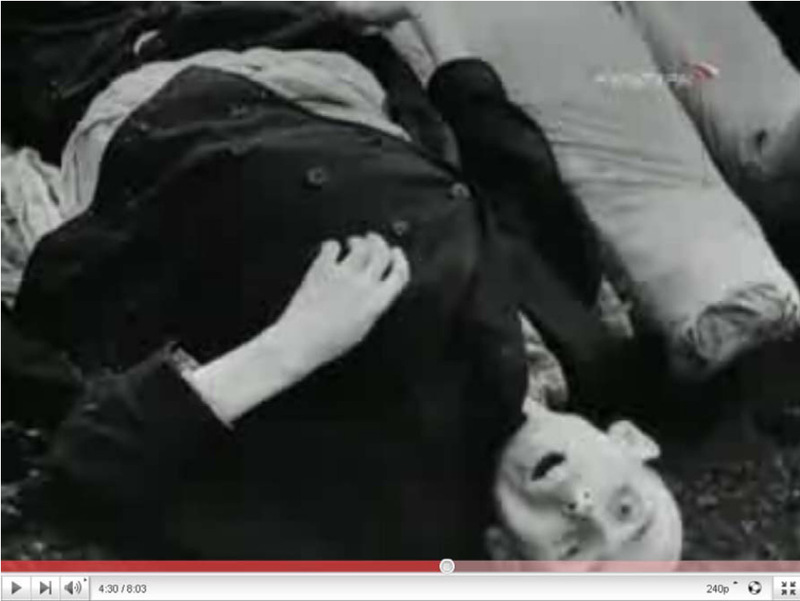 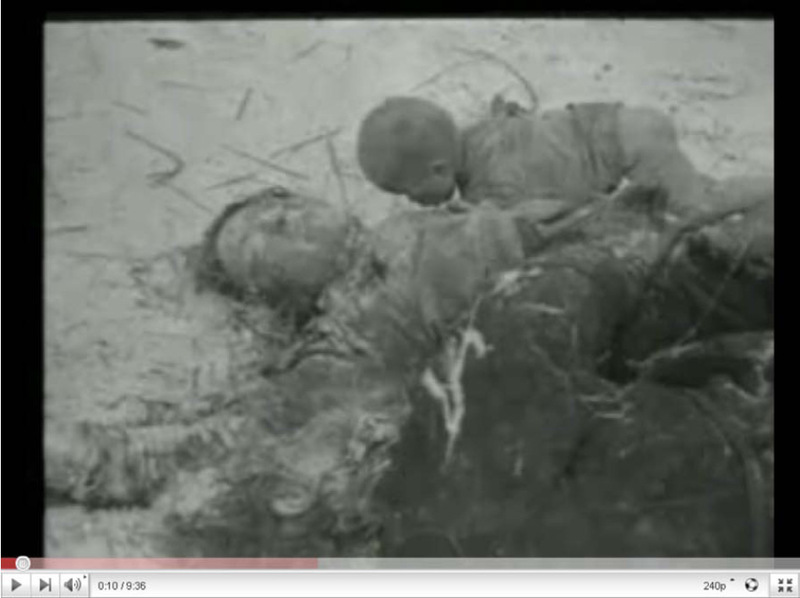 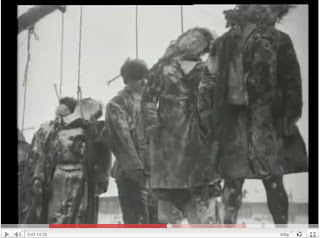 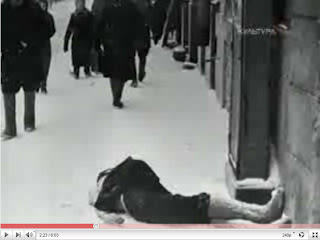 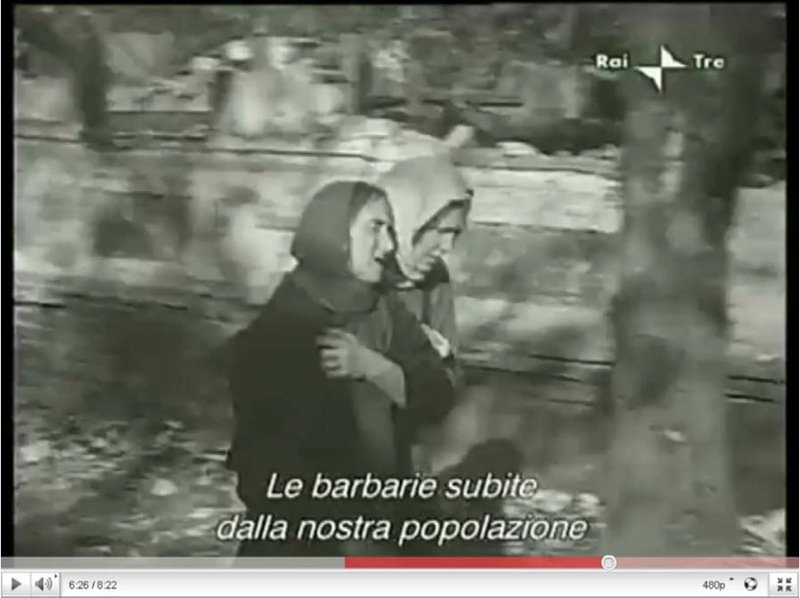 While the documentary contains graphic scenes of death by starvation, these make up only a relatively small part of the film, suggesting (besides the possibility of censorship having eliminated the most horrifying scenes lest they have a demoralizing effect) that the filmmaker was more interested in people trying to stay alive than in dead bodies. 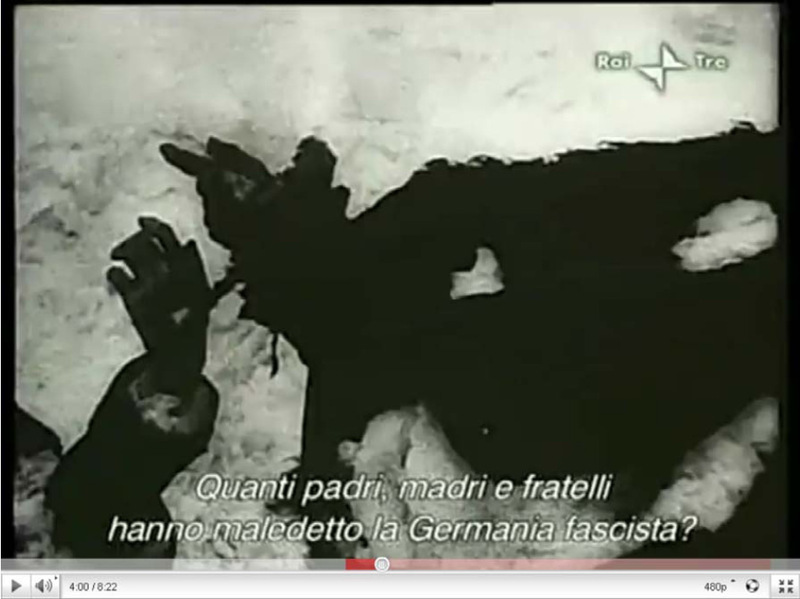 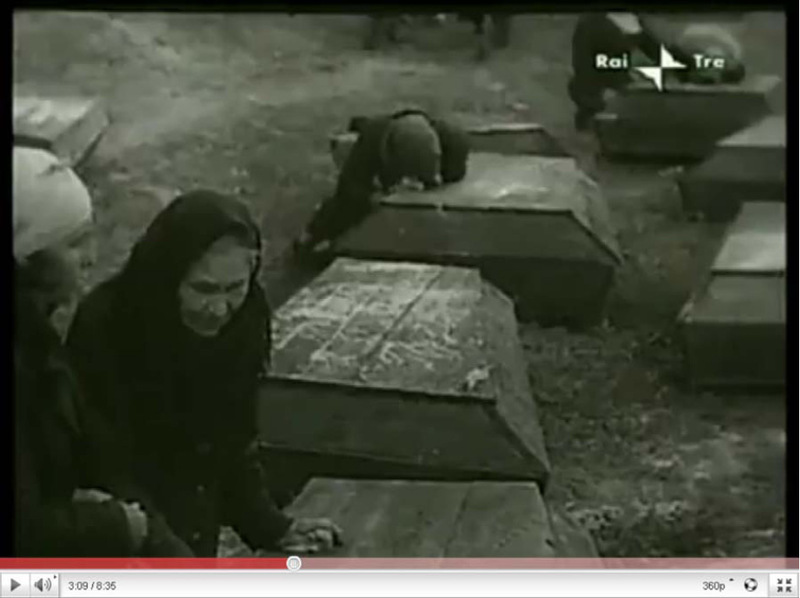 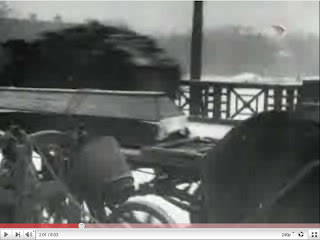 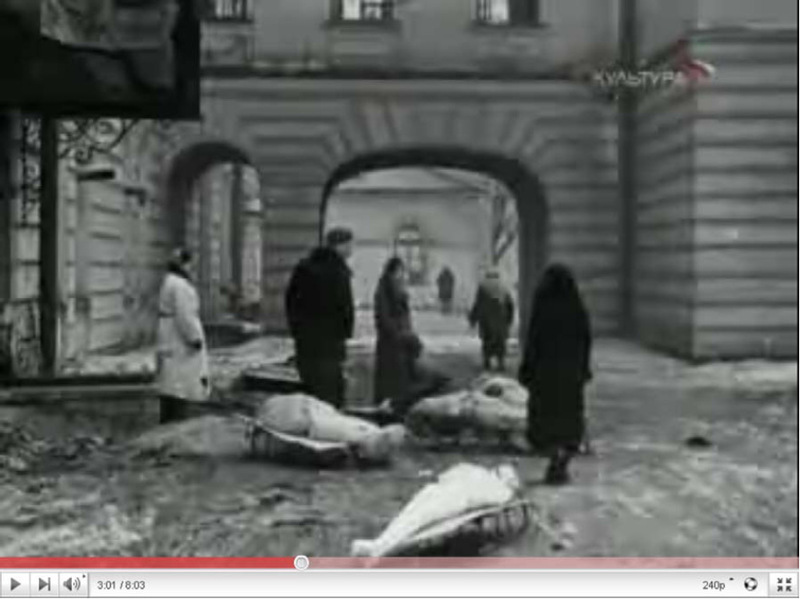 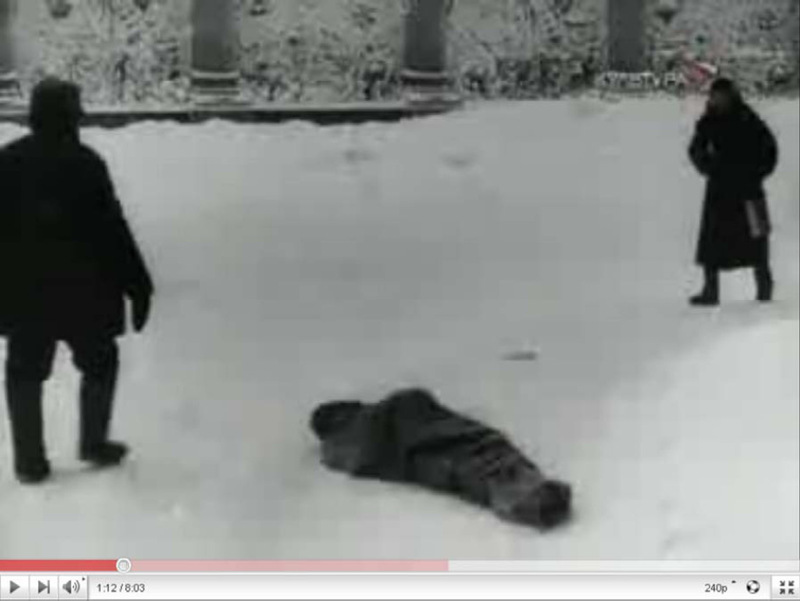 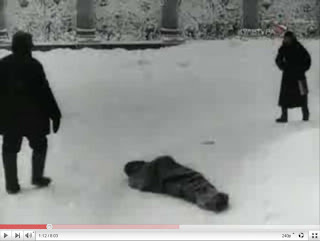 The fifth film is from the Robert H. Jackson Center's Channel and contains scenes from the Soviet film "The Atrocities of the German fascist invaders in the USSR", which was shown on the sixty-second day (19 February 1946) of the Trial of the Major War Criminals Before the International Military Tribunal at Nuremberg. The reason why I point out these films and show stills from them is not that I consider documentary films or film stills to be particularly strong evidence of what is depicted therein. I think that the evidentiary value of these films as concerns the specific atrocities depicted depends on their evidentiary context, which should furthermore preferably include documents and/or testimonies on which the Soviets had no influence. 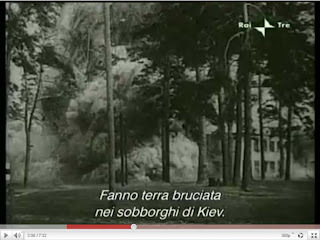 It should also be borne in mind that films, like photographs, can by the very nature of the medium only show a tiny part of the events they portray (when the commentator of "Victory in the Ukraine" stated that humanity would get to see but one thousandth of the evil that happened, he was grossly overstating the quantitative depiction potential of documentary filming). The main value of films showing atrocities, like that of photographs showing such, lies in their capacity to illustrate what becomes apparent from other, more comprehensive evidence, and thus to help convey to the viewer a little of "what it was like". 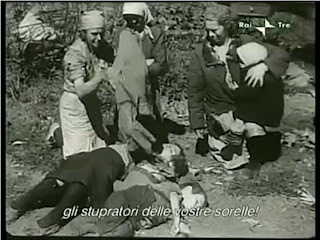 In this sense, the film stills in this blog, together with the photographs shown in previous blogs, complement the evidence that has been mentioned and discussed elsewhere on this blog site. 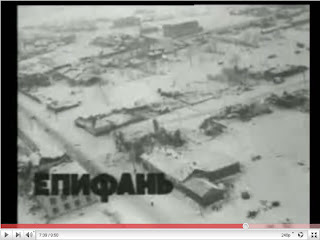 The names and descriptions of the films are those provided by the persons who put them on YouTube. The stills can be enlarged by clicking on them. 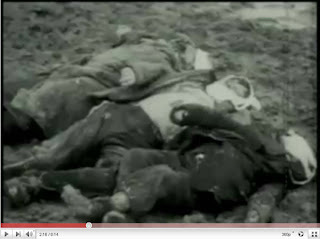 This is not recommended for sensitive persons, as some of them are quite graphic. 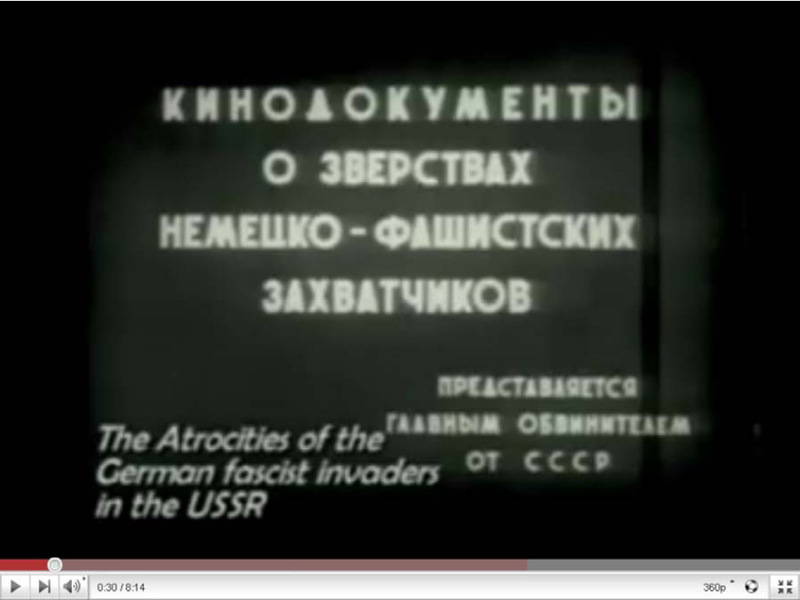 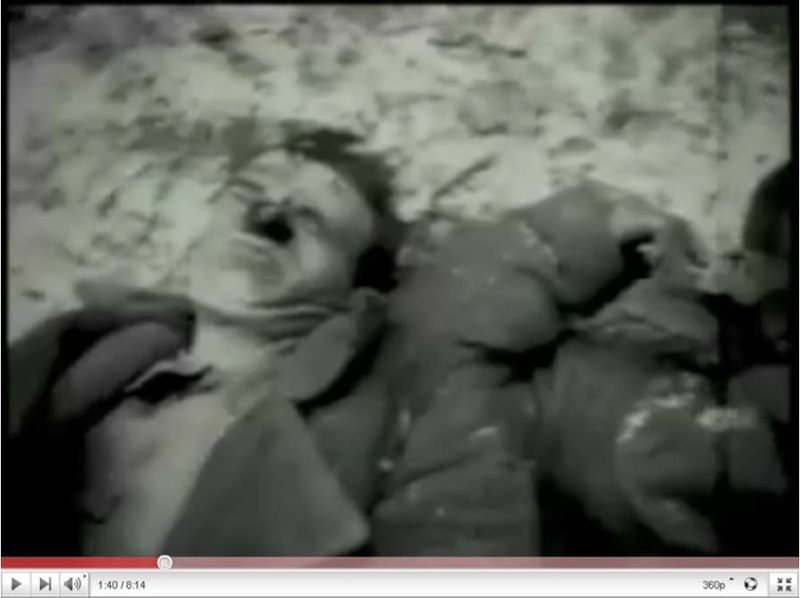 Soviet documentary of the first major strategic setback dealt to the German Wehrmacht by the Red Army. 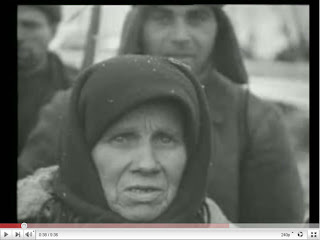 Razgrom nemeckih voysk pod Moskvoy. 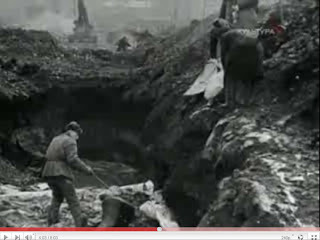 Сюжет фильма: Фильм "Разгром немецко-фашист ских войск под Москвой" режиссёров Леонида Варламова и Ильи Копалина построен на доку ментальных съёмках Москвы и Подмосковья во времена строительства загородительных со оружений, работы оборонных заводов, военны х действий, освобождения подмосковных горо дов и деревень. Картина запечатлела героиз м людей при обороне Москвы, масштабность ра зрушений и потерь. 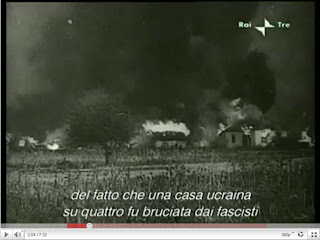 Documentary by A. Dovzhenko, Central and Ukrainian Newsreel Studios, 1943, a powerful anti-fascist and anti-German documentary about fighting in the Ukraine in WW2 by Ukraine's greatest film director. 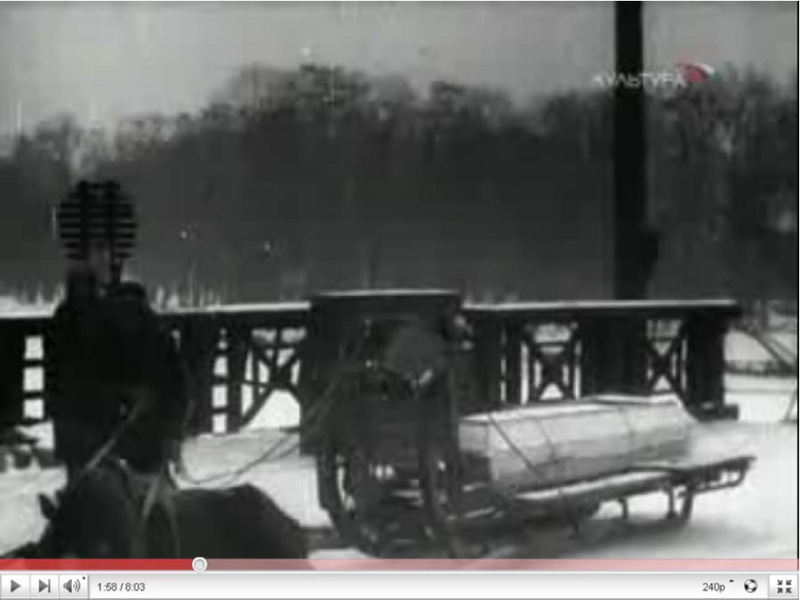 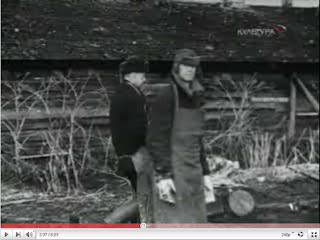 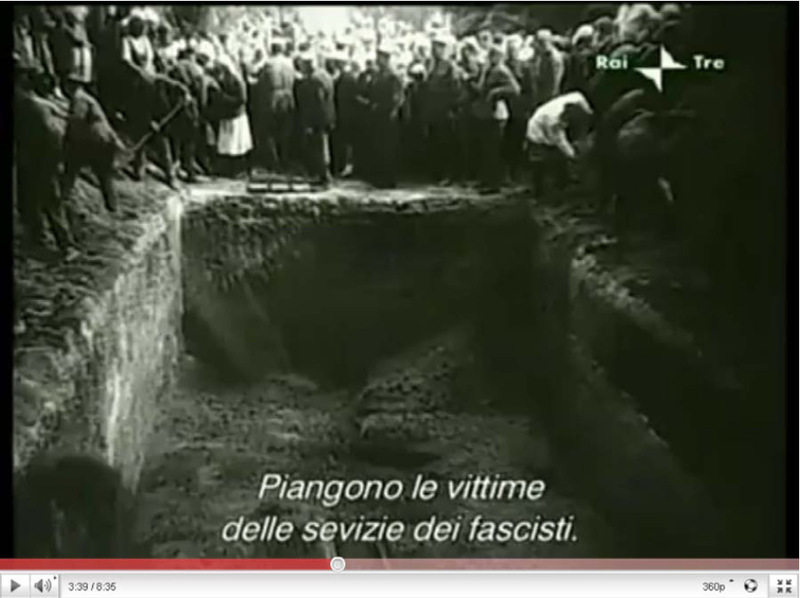 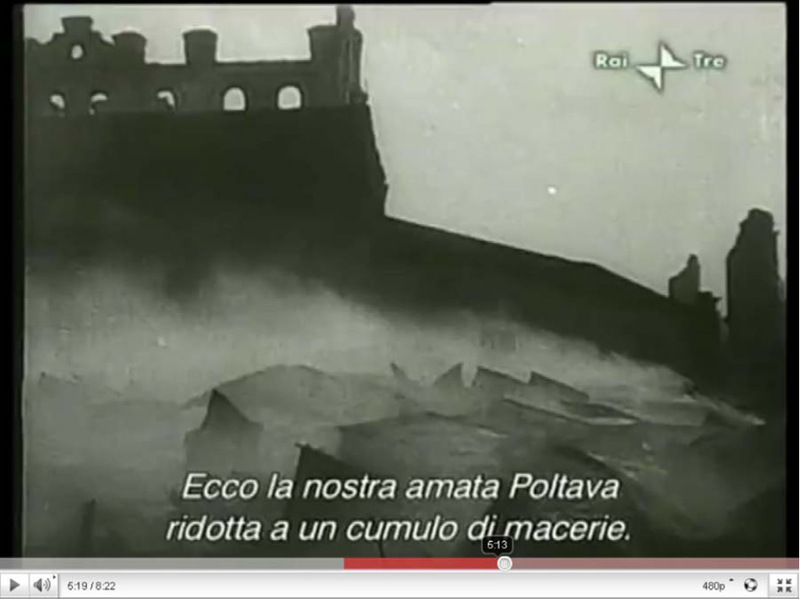 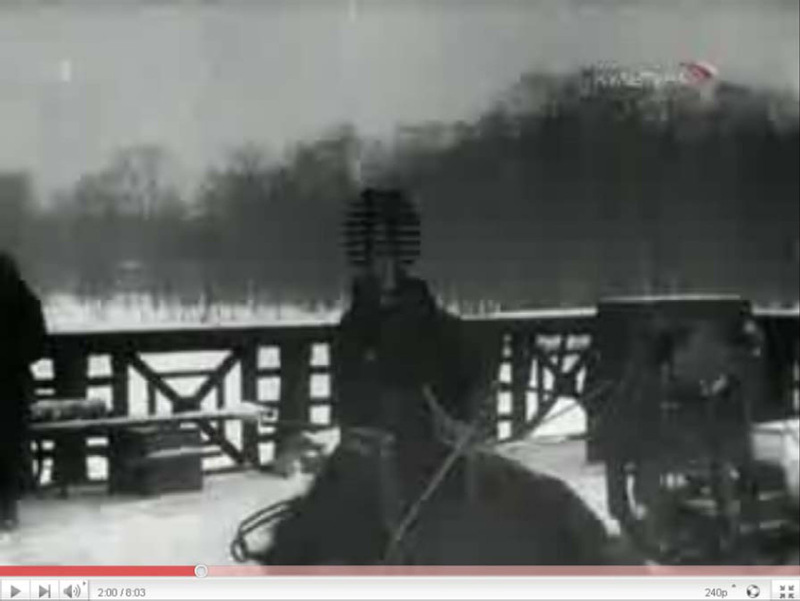 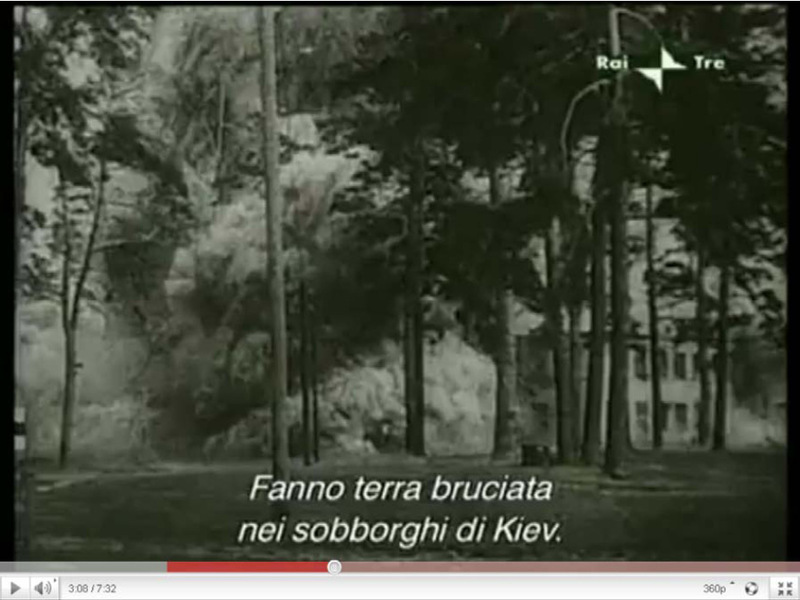 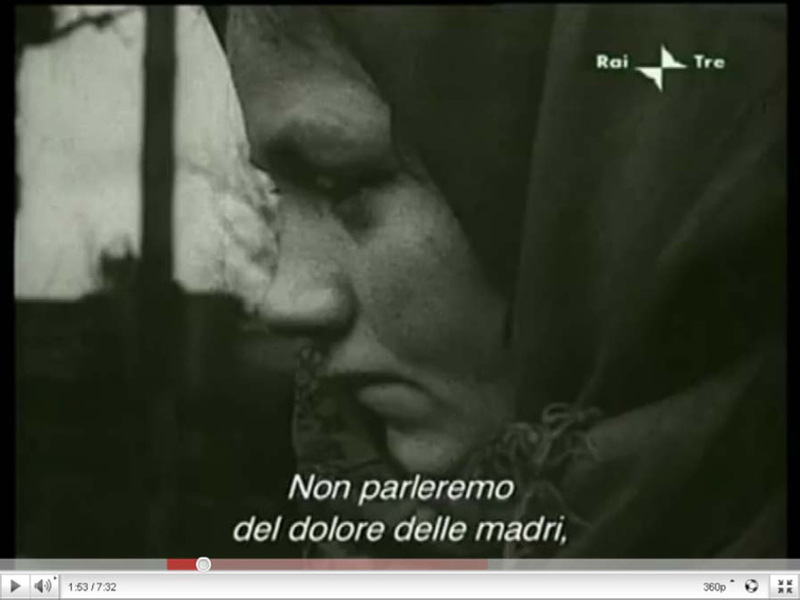 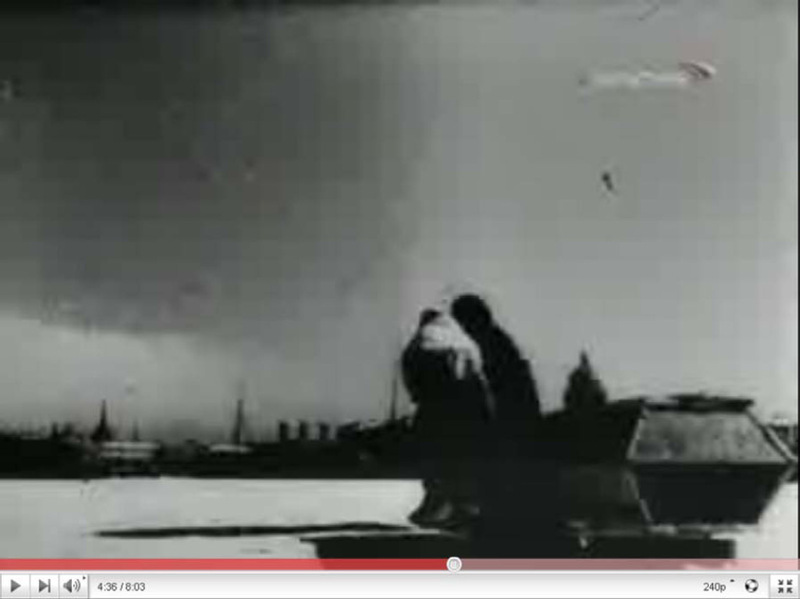 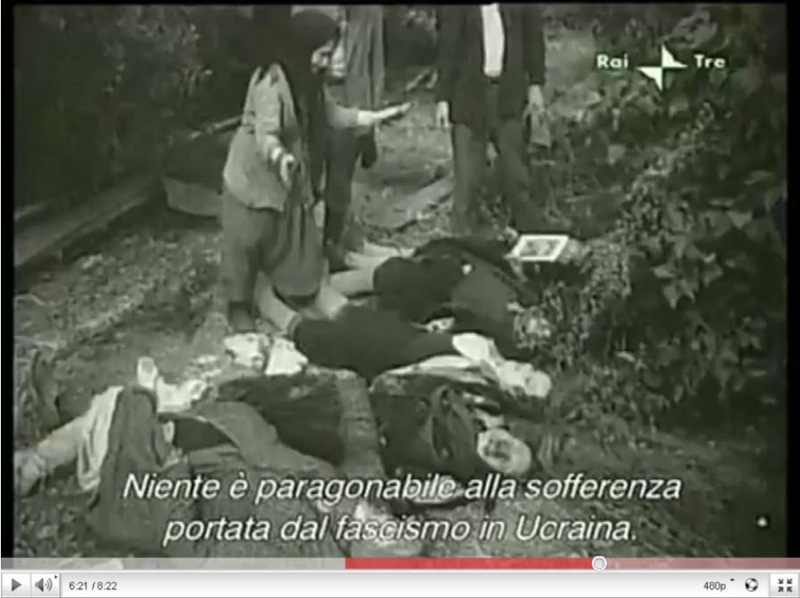 Documentary by A. Dovzhenko & Yu. Solntseva about the Red Army's crushing victory in the Ukraine in 1944. 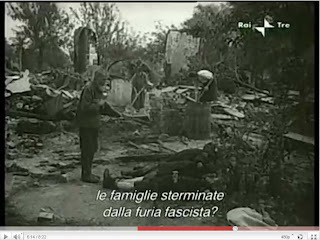 Roberto, please answer my email to you.